Ardex was originally founded in France in 1934 but by the time war broke out in 1939, production stopped. 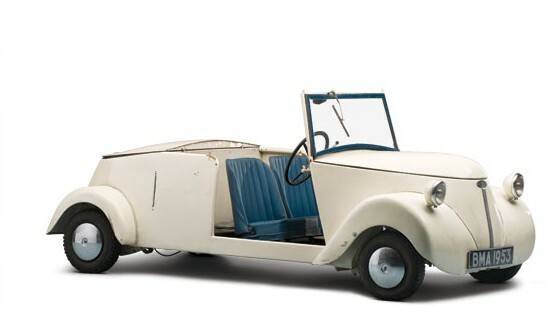 But in 1952, it sprang back up out of nowhere, producing two (as seen here) or four seat microcars using single-cylinder engines of 100cc or 125cc. Production lasted until 1955 and only a few were built. This one should sell for between $15,000-$25,000. Click here for more info. 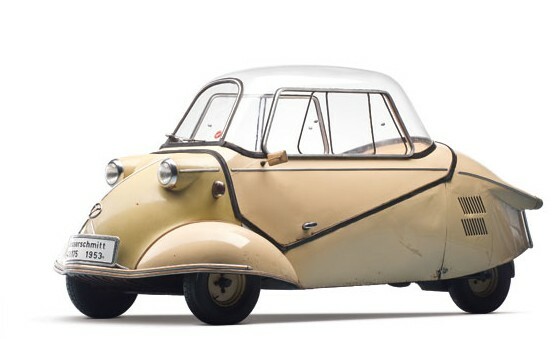 We already featured a Messerschmitt KR 200, which was the successor to this car, the original Kabinenroller, the KR 175. 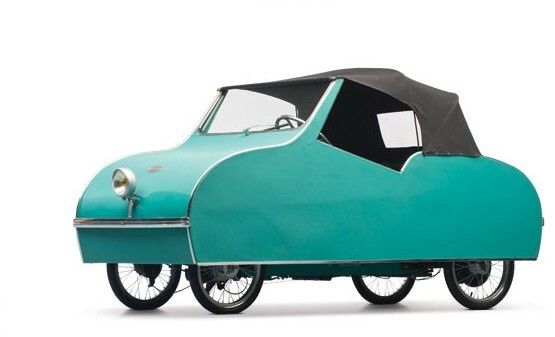 Introduced for 1953, the Fend Flitzer offshoot used a rear-mounted 174cc single-cylinder making nine horsepower. Top speed was 50 mph and the bubble canopy was used instead of a door. 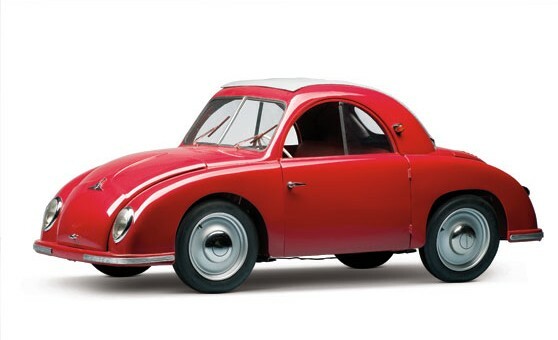 As production only lasted through 1955, total output was much smaller than the KR 200, with about 15,000 KR 175s built. They cost 2,100 DM back in 1953 but today should sell for $35,000-$45,000 USD. Click here for more info. SICRAF (Société Industrielle de Construction et de Racherches Automobiles de France) – yeah, that’s one hell of an acronym – produced scooters in Aubervillers, France, from 1947 through 1953. 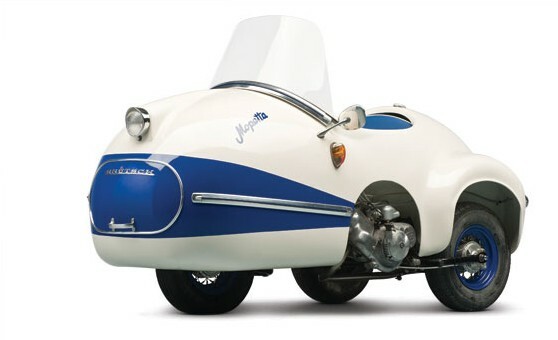 In 1955, Paul Vallée, the head of SICRAF, introduced a three-wheeled micro-bubble of a car using a frame from one of his scooters as a base. Engines were either 125cc or 175cc. Not many were made. This one should sell for between $45,000-$55,000. Click here for more info. The Rolux Baby was identical to the New-Map Baby. New-Map reintroduced their pre-war “Baby” design in 1946 but the following year the company relocated and was renamed Société Rolux. The model remained unchanged from the pre-war design. It uses a rear-mounted 125cc single-cylinder engine. Rolux lasted until 1952 and about 300 cars were made. Three of them are offered in this sale. This is the nicest one and it should bring between $35,000-$45,000. Click here for more info. The Nobel 200 was a licensed copy of the Fuldamobil. 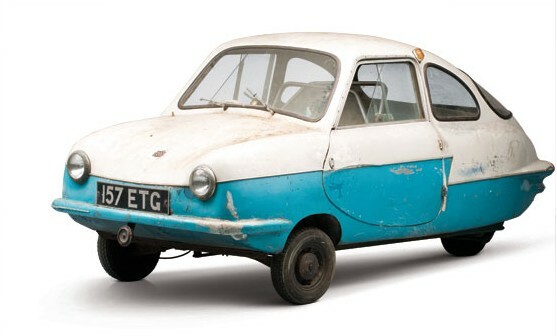 While the Fuldamobil was built in Germany, the Nobel was built in the U.K. – Northern Ireland to be exact. 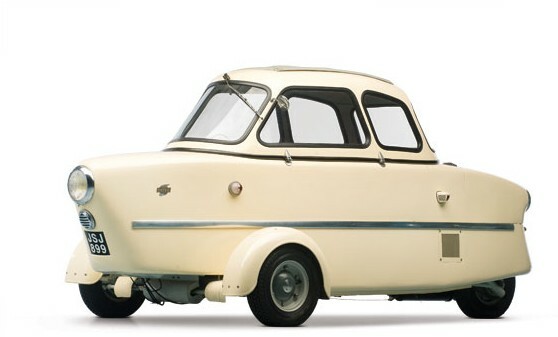 They were available from 1958 to 1962 and it uses a 191cc single-cylinder making 10 horsepower (the same one used the Messerschmitt KR 200). It could do 55 mph. This one is obviously in need of a restoration – but it is in better condition than the other Nobel 200 offered in this sale. This one is estimated to bring somewhere between $10,000-$15,000. Click here for more info. The Inter was built by S.N.C.A.N. of Lyons, France from 1953 to 1956. As its name suggests, it uses a 175cc engine. Only about 300 were built. What I like about it is the boat-ness of it. It has that one headlight poking out the front and that lone windshield wiper that comes down from the roof of the car. That and how the body is narrow with a chrome belt line (or water line) and the wheels are located outboard – it kind of looks like the Reyonnah we featured a few weeks ago. It should sell for between $40,000-$50,000. Click here for more info. If this looks like the Maico MC 400 we featured a month or two ago, that’s because it is pretty much the same car. Champion Automobil presented the 400 in 1951. It was a two-door saloon with a folding canvas roof – not a complete convertible, but more like a giant cloth sunroof. In 1953, the 400 became the 400H. The engine was a two-cylinder of about 400cc making 16 horsepower, an increase of two horses over the 400. Only 1,941 were built in 1953 before the company collapsed and was purchased by Maico. This one should sell for between $40,000-$50,000. Click here for more info. Egon Brütsch founded the company that bore his name in 1950. 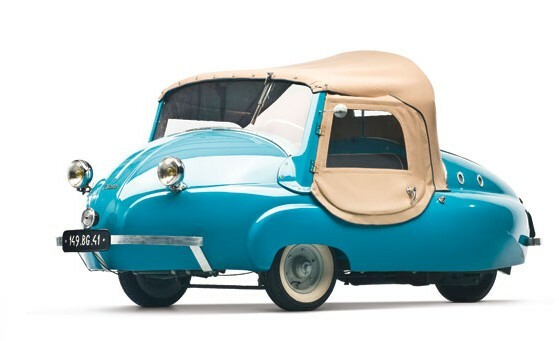 By 1958, he had designed and produced 11 different models of microcars, perhaps none more “micro” than this Mopetta. It rocks a single seat and a 50cc engine but it’s actually (a little) bigger than it looks. While I don’t think I’d fit comfortably in this thing, I might be able to actually squeeze into it. Its only about five feet long, so maybe I couldn’t. Maybe Germans in 1958 were just tiny. Only 14 were built. This one should bring $25,000-$35,000. Click here for more info. 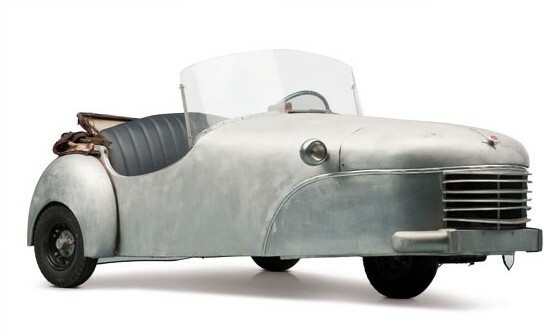 The Bond Minicar (retroactively given the “Mk A” identifier) was introduced in 1949 and was sold through 1951. The body, as you can see in this unpainted example, is aluminium and the whole car weighed in at 308 pounds. This non-Deluxe model uses a 122cc single-cylinder making five horsepower. In total, 1,973 were made and it was deemed successful enough to spawn six successors with a total combined production of over 20,000 cars. This was the one that started it all for Bond. It should sell for between $10,000-$15,000, much more than the about £260 it originally cost. Click here for more info. The BMA Hazelcar was constructed by the Battery Manufacturing Association, a company located in Hove, England. 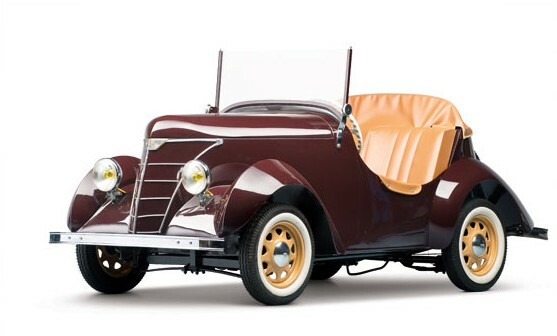 They introduced the Hazelcar in 1952 and made them into 1954. It’s an electric car, powered by a 1.5 horsepower electric engine. It has a range of 60 miles and a top speed of 20 mph. The price was rather steep for 1953, at £535 and only about 25 were built. This one should go for between $5,000-$10,000. Click here for more info. This entry was posted in Uncategorized and tagged 175a, 1950, 1953, 1955, 1956, 1958, 1959, 200, 400h, ardex, auctions, baby, berline, bma, bond, brutsch, cars, champion, chantecler, classic cars, hazelcar, inter, kr 175, messerschmitt, microcars, minicar, mk a, mopetta, nobel, paul vallee, rm auctions, rolux by classiccarweekly. Bookmark the permalink.